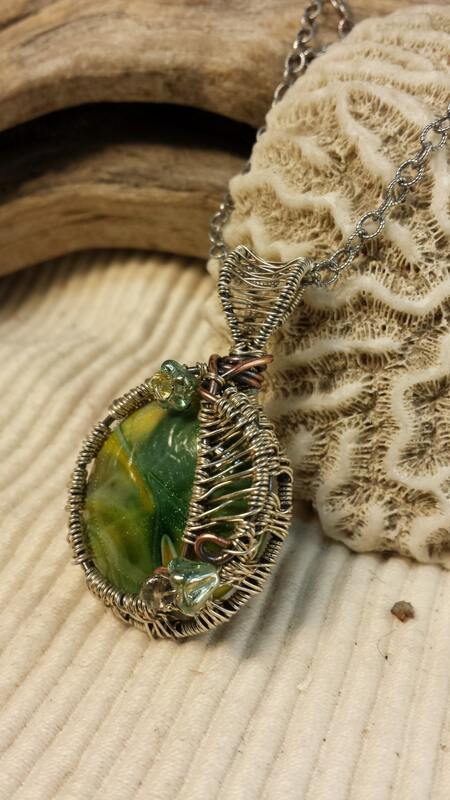 Handmade, Swirled, green glass encased in Sterling Silver wire with Copper and Crystal Accents. 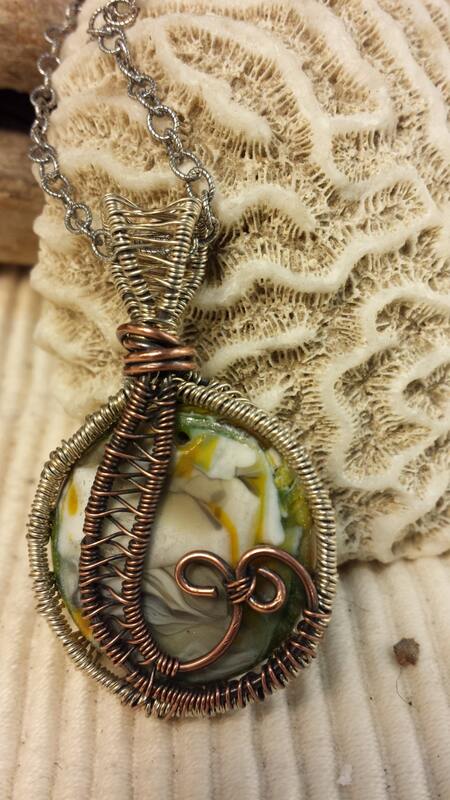 Antiqued Pendant is 2 inches long and 1 1/4 inch wide. 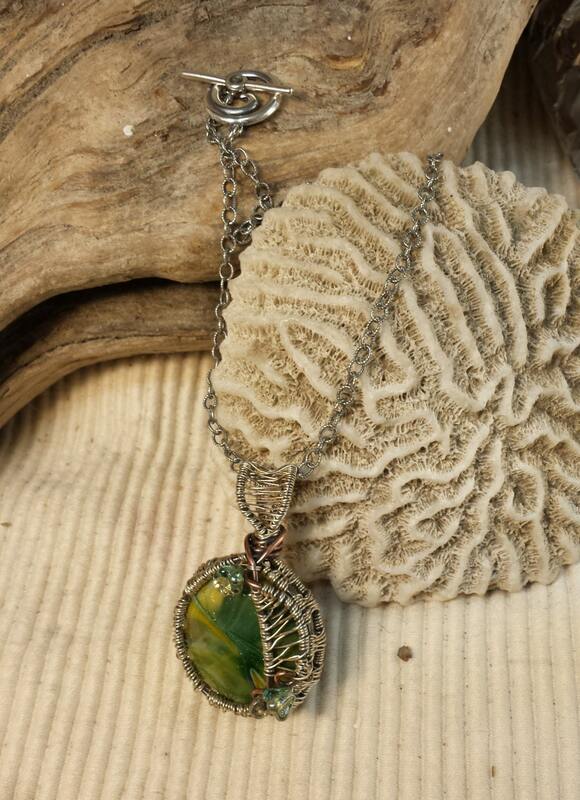 This one of a kind pendant comes on an antiqued, matching 18 inch chain with an antiqued Pewter Circle Toggle Clasp Set. Necklace comes in a Cotton lined box. 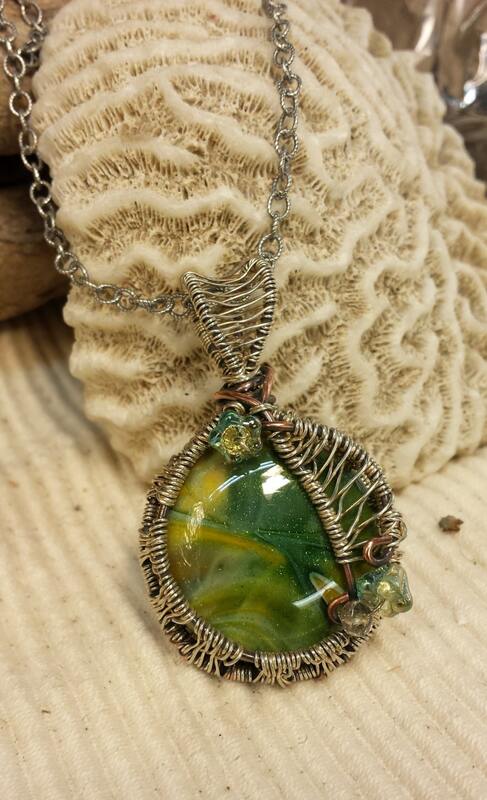 Glass piece is handmade by an Alaskan Artist.